Very proud to have photos on all our bank notes! 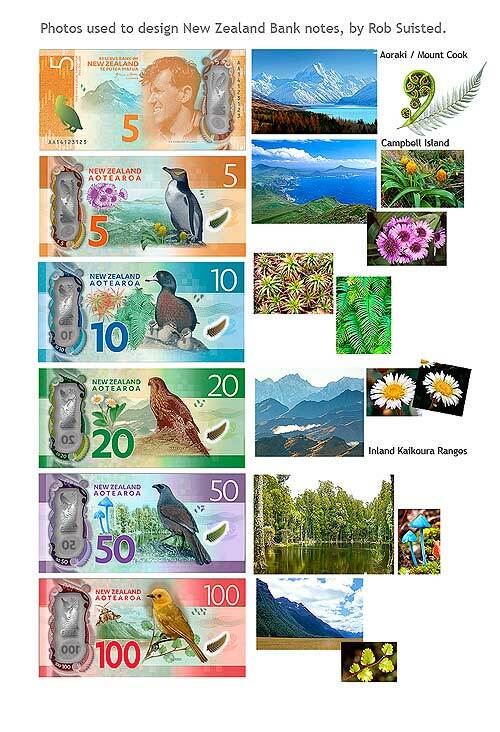 The Reserve Bank announced new designs for the New Zealand bank notes today. 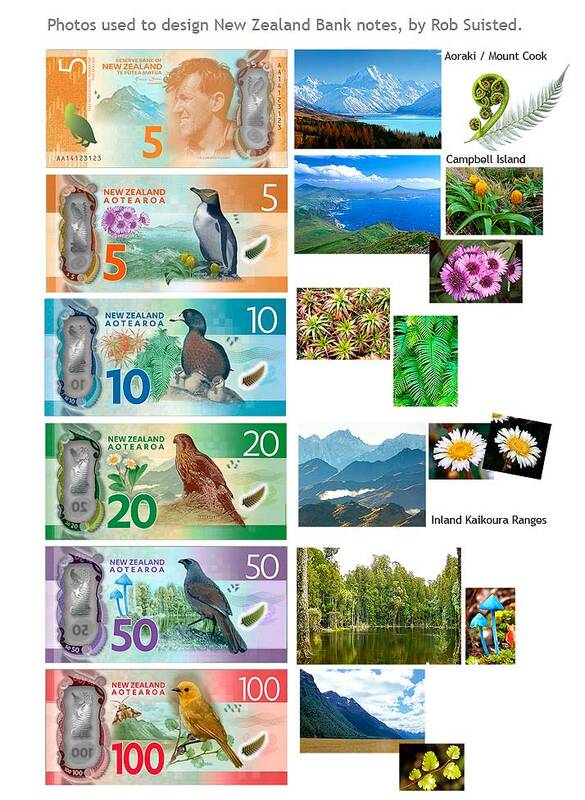 UPDATE: News article about the use of my images on the new currency bank notes, and NZ post stamp annual book cover. Sorry, I meant, whereabouts are the snails on the banknotes? Or are they just on the book that is launching the banknotes? You're reading Very proud to have photos on all our bank notes! at Nature’s Pic Images Blog.